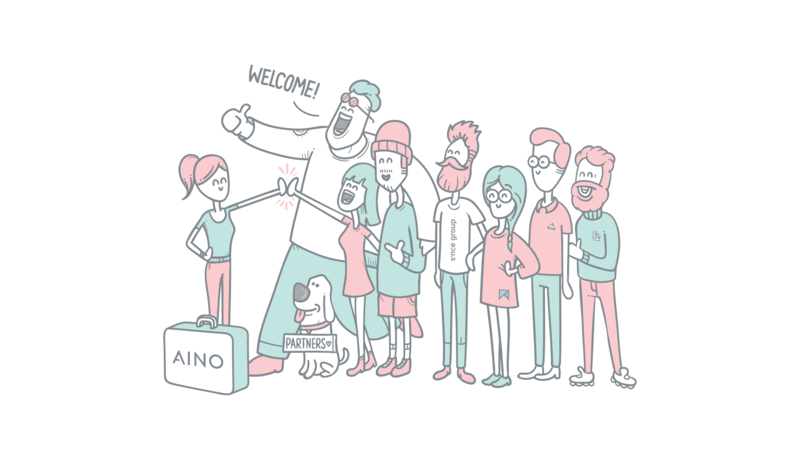 We are happy about our new partnership with Aino. They are a Swedish digital production agency located in Gothenburg where they design and develop beautiful and impressive e-commerce solutions. Aino was founded in 2011 and since then they’ve developed some powerful digital solutions, always focussing on high quality when it comes to the design and technology they use. Fast e-commerce is key. They take pride in delivering the best possible experience for user interfaces - utilizing excessive attention to detail, responsiveness, reliability and emotional connections. We’re pleased to partner up with these folks. Aino is a digital production company located in Gothenburg, Sweden. They are known for constantly pushing the upper limits of quality throughout all aspects of interface production including design, technology, maintainability and speed. They do this by hand picking each member of the stack and putting their heart into every product they make. They are right now working hard to transform the e-commerce experience from data-driven catalogues into rich brand experiences with embedded shopping. They do this like they do everything else – by fertilizing cutting edge technology with human values and emotional touchpoints. Their company culture puts people’s well-being and integrity as top priority. They also have high moral and ethics, like never working with gambling companies or immoral advertising aimed at children. Clients include Nudie Jeans, Forsman & Bodenfors, The Gothenburg Opera House and Bzzt! (a Swedish taxi startup).